West Bengal BJP has decided to raise the issue of alleged infiltration from Bangladesh to counter the Trinamool Congress in the state. Sources in the BJP said that this will complement the party’s attack on the TMC on the “deteriorating law and order” in the state and the TMC’s “appeasement policy towards Muslims”. The party had used the same issue in the run-up to the Assembly elections in Assam last year. The strategy is clear – equate Muslims with Bangladeshis in the minds of Hindu voters and cite this as the reason behind rising crime. Like Assam, the BJP also plans to raise fears that the demographic composition in Bengal is going to change. “We have received reports from our workers that infiltration of Bangladeshis has increased. We are extremely worried and we will raise this issue in every forum. We will also send a report to the Union Home Ministry,” said state BJP president Dilip Ghosh. BJP leaders have alleged that West Bengal’s 2200 km border with Bangladesh is the most suitable route for terror operatives from Harkat-ul-Jihad al-Islami and Jamaat-ul-Mujahideen Bangladesh to enter Bengal. According to Ghosh, BJP will highlight both the issue of infiltration as well as the TMC government’s failure to resolve the Darjeeling impasse that has continued for over a month. The BJP’s latest offensive is reflective of its mixed success against Chief Minister Mamata Banerjee. On one hand, it appears the BJP’s efforts to paint Banerjee found very few takers in the public, which voted overwhelmingly for the TMC in the Assembly elections last year. On the other hand, the BJP is slowly but surely emerging as the main opposition to Banerjee in the state, especially with the Left struggling and the Congress inching closer to the TMC. The Muslim appeasement barb also didn’t have any impact in the 2016 elections so adding the Bangladeshi infiltration element could be the BJP’s way to make the issue more potent. The TMC government has instructed the administration of various districts to remain vigilant towards functionaries of other political parties who enter the district posing as common people to disrupt the communal harmony of the place. The TMC has vowed to continue its offensive against the BJP. “We will continue our protest against the Centre’s anti-people policies even if they lodge false cases against us. Our protest BJP Bharat Chhodo Abhiyan will begin from August 8. We aren’t worried if the number of BJP workers is increasing in Bengal. These are mostly former CPI(M) workers. 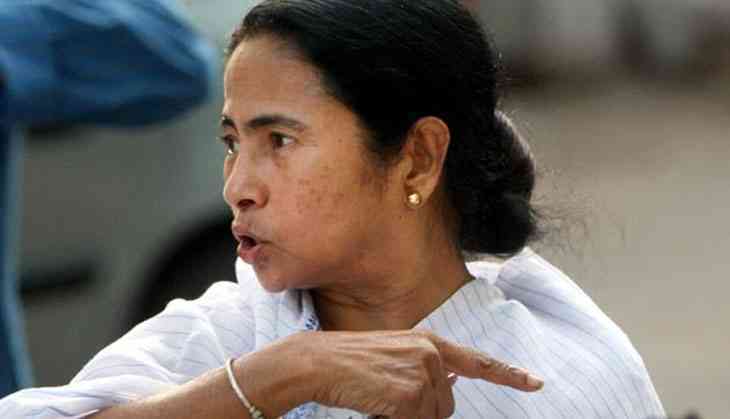 BJP’s plans will never succeed in Bengal,” a senior TMC leader said.